Well I have seen many people, in my lifetime that have been wearing the wrong socks at the wrong time. So now, here is a clarification what types, and styles there are. And also how to wear them. Socks without the long parts that crew socks have. They are the most stylish when worn with shorts. Especially for the gym when wearing shorts. Socks that cover up to the ankle. Do not wear with shorts! This is an alternative to crew socks if you do not like longer socks. The long socks that may go past your ankle. Something to be worn with long pants like jeans or dockers. Very similar to ankle socks but this may look more athletic. Also, this may be worn with dress lacks… as long as they are black. Some may now think I am completely absurd talking about socks. But I think this is a fashion that reflects our personality (e.g. crew socks with shorts equal dorky). But also serves a purpose, to keep your feet clean and comfortable in footwear. To those not concerned… good for you (wear what you want). 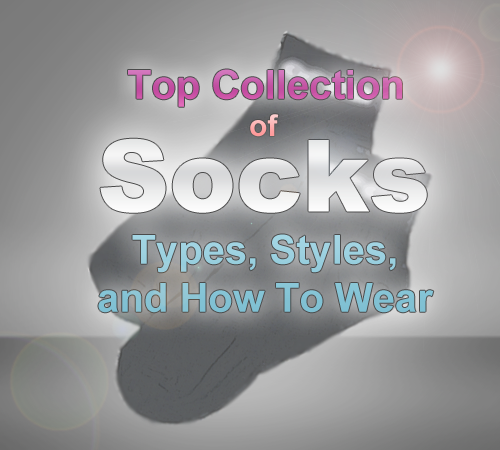 Note: Please be noted I have only written about the socks most commonly worn. If you want anything added please feel free to leave a comment or give me a tweet.